We are the leading manufacturer of Plating Rectifiers and our product is made of good quality. Protections: Over-current, Overheating, Over-voltage, Under-voltage, etc . 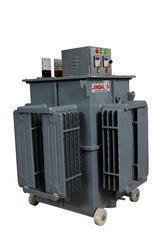 Our company is engaged in offering the best quality range of Electroplating Rectifier. 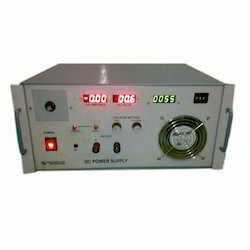 The Electroplating rectifier is a kind of electronic gadget, which changes high voltage alternate current (A.C.) into low voltage direct current (D.C.). These electroplating rectifier are fabricated using the raw material of superior quality. Pulse Rectifiers are having all the features of CCCV units including Automatic ampere sec/min/hr. meter, Filtered DC output less than 0.1% ripple, Pulse & Pause time adjustable between 0.01 to 999 milli-sec, Output current pulse controllable by thumbwheel switches and Peak voltage / current display Digital meters. We are the leading institutions indulged in wholesale trader & supplying a premium range of Electroplating Rectifiers. Entire range is lauded for its quality, strength, durability and performance. The Electroplating Rectifier provided by us is available to clients at leading market prices in an array of specifications at economical market prices. This rectifier is known for its efficiency. Rectifier is an Economical and most efficient unit of obtaining Direct Current (D.C) from Alternating Current (A.C) which is used for the purpose of Electroplating, Anodising, Hydro-genation and many other Electro_Chemical processes. We are one of the highly established and reputed manufacturers and suppliers of the highest quality rectifiers, which are manufactured for various applications to meet the specific customer requirements.